Have YOU started your holiday shopping yet??? Don't worry... I haven't either! Just here with some helpful tips and ideas for shopping if you're going to be on Disney Property in the upcoming month. Now, if you're anything like me, you're pretty thrilled with any gift that you receive that has Mouse ears or any Disney reference on it. But, believe it or not, there are some people who don't love all things Disney and who wouldn't exactly be delighted with Disney trash can salt and pepper shakers. (I know... I know... who are these aliens, right?) Well, that's not a problem if you're doing your holiday gift shopping at Disney, or even if you're just looking for gifts to bring back home for friends and family. There are tons of great gift options in the parks that don't require the recipient to be an Annual Pass-carrying, Mouse-crazed, friend-of-Figmet, Disney Fanatic. Read on for some great ideas! There are tons of great gift options for Foodies at Disney. 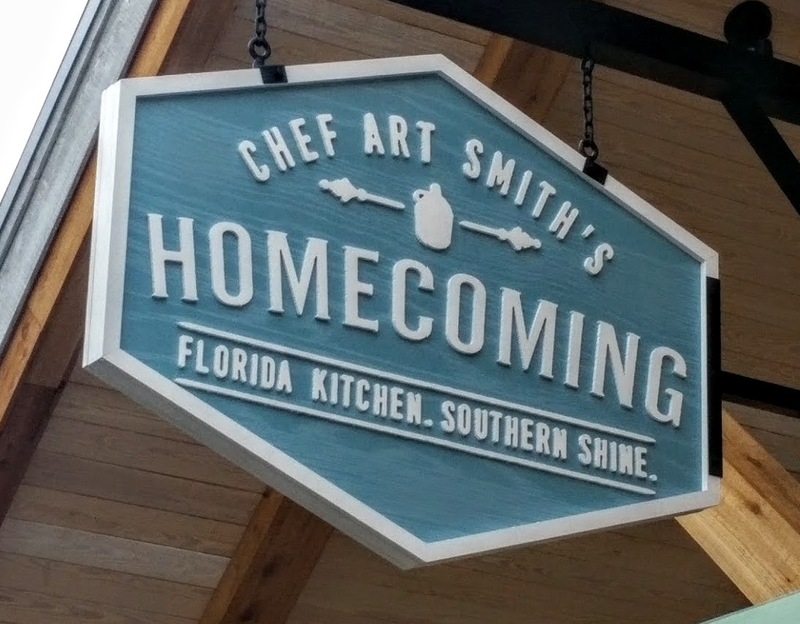 How about some unique spices, salts, teas and sugars from The Spice and Tea Exchange, inside Mickey's Pantry at Disney Springs? The shop carries all sorts of flavored sugars for baking, seasonings and even cookbooks. And speaking of cookbooks, most of the 3rd party restaurants, like Bongo's, Raglan Road, Homecoming, House of Blues, Wolfgang Puck's, Paradiso 37, etc., have a gift shop area, offering merchandise that is specific to their brand, including cookbooks, t-shirts, and more. I decided that "The Drinker" didn't sound very polite, so I went with this. The fact is that great alcohol related gifts are available all around Disney property, but especially in World Showcase. There's gorgeous glassware in the Mexico pavilion, as well as assorted tequilas, and margarita prepping items. There are plenty of sake products in Japan. There are wonderful wines in France and Italy, along with stemware. Germany has beer steins of all shapes and sizes, and the UK has pint and yard glasses, along with Guinness bar ware. For those that like to treat themselves to lovely bath and body products, or those that enjoy rich scents, there are plenty of options to choose from. My favorite is probably Basin at Disney Springs, (there's also a smaller store in The Grand Floridian). Basin specializes in bath bombs, hand made soaps, bath salts and more. I adore their sugar lip scrubs and their shampoo and conditioner bars. The various resorts around property sometimes have scents and lotions that are unique to their theme. For example, in the Bou-tiki in The Polynesian, they carry a few different Hawaiian influenced fragrances and lotions. You can also purchase H20 Products in Disney resort gift shops. They are the company that does all of Disney's in-room amenities. They smell fantastic and are of spa quality. Again, we can head back over to World Showcase for a whole plethora of fragrance options. Anyone who has been in the Norway gift shops will be familiar with Laila and Geir, the fragrances by Geir Ness that are sampled and sold there. In the China pavilion, they carry incense. Italy of course carries all of the Bulgari fragrances, along with Fendi, Prada, Acqua di Parma, and Valentino. Japan has incense, as well as fragrances by Shiseido and Issey Miyake. Morocco also carries incense. No surprise that France is full of gorgeous fragrances, (Chanel, Escada, Givenchy, LsCoste, Guerlain), but they also offer make-up products in one outlet, and rich, gorgeous, lavender hand creams and soaps in another. Unfortunately, the UK no longer carries Burberry products like they used to, but they do still have some lovely soaps. For more of a make-up selection, Disney Springs has a number of options, including MAC, Origins, Sephora and L'Occitane En Provence. If you're shopping for a sports-lover, you won't have any problem finding options at Disney. Of course there's plenty of team-themed merchandise over at Wide World of Sports, but that's not the only option. The Arcade, at The ESPN Club at The Boardwalk has a whole variety of sports merchandise, including t-shirts and memorabilia from professional baseball, football, hockey and basketball teams. Disney Springs offers United World Soccer, Fit2Run and Curl by Sammy Duvall, which respectively offer gifts for soccer fans, runners and surfers. And of course, in World Showcase, you can pick up items from some of your favorite international sports, like hockey shirts in Canada, rugby and soccer items in the UK, soccer items in Germany and Italy, and so much more. Maybe you're shopping for some pre-teens that aren't quite into the Disney princesses and Buzz and Woody anymore. No problem! Now that Disney owns Marvel, you can find superhero stuff almost anywhere, but the best selection is probably at Disney Springs, in Marvel's Super Hero Headquarters. Of course, Star Wars is everywhere, as well. Hollywood Studios has the most to offer, including Tatooine Traders, and the new Launch Bay. Or maybe anime is more their thing. In the Japan pavilion in Epcot, you'll find a selection of Pokemon and Dragon Ball Z items, along with Hello Kitty stuff. The Lego Store frequently still appeals to bigger kids, so a stop into the Disney Springs location is bound to be a winner. If you think they'd like some non-Disney apparel options, hit up Disney Springs. Tren-D carries both Disney and non-Disney ladies clothing items that appeal to a younger audience, and D-Street does the same for men. There's also Havaianas for flip flops, Apex and Sunglass Icon for sunglasses, Chapel Hats for head ware, and Sanuk for shoes. You can also try Disney resort shops, especially the ones at the deluxe resorts, for brands like Quicksilver and Tommy Bahama. 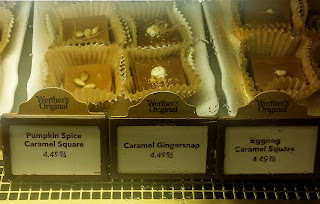 Chocolate is available in many forms, and in many places around "the world". Of course, you'll have to keep in mind that it might not travel well if you have to check bags, or store it in a hot car, but if you can provide a cool place for transporting the elixir, your chocoholic friends and family members will LOVE your presents! The obvious first stop is Ghirardelli in Disney Springs. There you can get bars, squares, bags of squares, jars of hot fudge, cans of powdered cocoa mixes, and all sorts of yummy gifts. 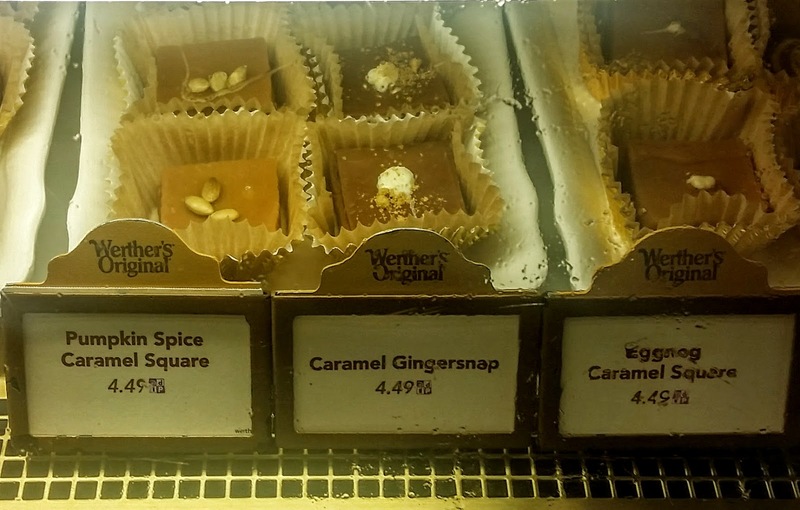 Also, while you're at Disney Springs, you'll want to stop into the Ganachery for hand made ganache, specialty chocolate bars and an array of exotically flavored chocolate delights. Or check out one of Disney's many candy shops: Goofy's Candy Co. and Candy Cauldron, (both in Disney Springs), The Main Street Confectionery or Big Top Treats in The Magic Kingdom, Sweet Spells in The Studios, Zuri's Sweets in Animal Kingdom, or Bay View Gifts in The Contemporary Resort. Not only do they have candy cases full of delectable treats like caramel apples, fudge, chocolate dipped Oreos and marshmallows and huge cookies, they also have pre-packaged boxed and bagged candies and chocolates that are more likely to travel home in better condition. If you're buying for a classic rock fan, the gift shop at the exit of Rockin' Roller Coaster in The Studios carries Aerosmith merchandise, including t-shirts, playing cards, drum sticks and more. House of Blues at Disney Springs also has some awesome choices for musicians, including band t-shirts, CDs, books and tons of HOB logo items. Also at Disney Springs, Raglan Road carries Celtic music CDs. If you know a musician who really appreciates unique percussion instruments, the Mexico pavilion carries maracas and guiros. Animal Kingdom park and Animal Kingdom Lodge have a host of various sized drums, shakers, rain sticks and other percussion instruments. One of the newest additions to Disney Springs, Sound Lion, sells speakers, headphones and sound systems that any musician is bound to appreciate! Memory Lanes at Splitsville (Disney Springs) for customized bowling balls, pins and bags. Shop for Ireland at Raglan Road (Disney Springs) for Declan's Finnians Figurines, Irish knit items, Ireland soccer items and more. Sosa Family Cigars for cigar-related items. And if you're shopping for someone who is pretty trendy or likes more mainstream apparel and items, Disney Springs is full of shops like Sperry, Kate Spade, Ugg, Lucky Brand, and Lilly Pulitzer, to name a few. More of a jewelry fan? Try Alex & Ani, Something Silver, Pandora, or Erwin Pearl, all at Disney Springs. For more tips, tricks and to get your dream Disney getaway booked, contact the agents here at Kingdom Konsultant Travel. They are the best at what they do and would be happy to help you plan.